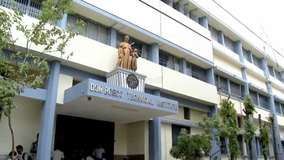 Find below the list of top schools in Park Circuis - Kolkata with phone number, address, 360° School tours, 2018-19 Admission forms & Fees, photos, facilities & more. In 1920, the Indian scenario of women education was quite depressing owing to the tremendous lack of social awareness. To popularize the concept of educating young girls and to meet the growing need of providing quality education at a reasonable cost to girl students, a small but progressive school, Marwari Balika Vidyalaya, with classes only till Standard IV, was established in 1920 in Burrabazar, under the stewardship of Shri Ghanshyamdas Birla and Shri Jugalkishore Birla by a body of enlightened members of the Rajasthani community settled in Kolkata. 3rd January 1954 saw the genesis of Shri Shikshayatan School. 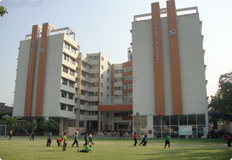 Albany Hall Public School is located in Park Circuis, Kolkata. It was established in 1973. This school follows the ICSE board. The school has English medium. When Archdeacon John Henry Pratt was alive, he was extremely interested in the education of the girl child. He gave instructions for the orphans living at the European Asylum opposite St James Church to attend classes at St James Boys School. 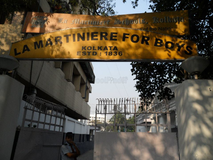 In 1876, five years after his death in 1871, under the instructions of the Bishop of Calcutta, Bishop Milan, the girls were shifted to an old building on the church vicarage grounds. 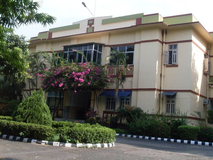 The church and the school shared the same address, 84 Lower Circular Road, Pargana side. The school was named in the memory of Archdeacon John Henry Pratt. 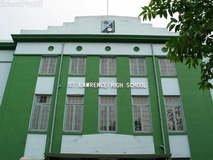 In 1882, the Bishop of Calcutta, Bishop Milan invited the Clewer Sisters of the community of St John the Baptist, Clewer, England, to undertake the management of Pratt Memorial School. You and your child deserve to be looking only at the top schools in Park Circuis - Kolkata. We at Sqoolz, have created an all-encompassing list of best schools in Park Circuis - Kolkata so that you can pick the one that is most suitable for your needs. Is the location viable? Is the school big enough? What additional facilities do they provide? Find answers to all the important questions with us. You can even take our virtual tour and see for yourself whether or not the school fits your child's needs.